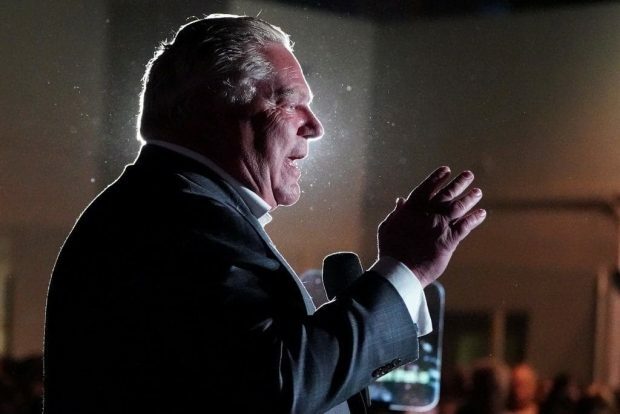 The Ontario government unveiled its plan to combat climate change Thursday, including a fund that commits public money to entice companies to reduce emissions. The regime, called the Preserving and Protecting our Environment for Future Generations: A Made-In-Ontario Environment Plan, aims to keep the province working toward meeting the emissions-reduction targets agreed to in the Paris Accord. That international agreement, which Canada has signed, calls for the reduction of emissions by 30 per cent of 2005 levels by 2030. Ontario has reduced emissions by 22 per cent, Environment Minister Rod Phillips told a news conference Thursday afternoon at a conservation area in Nobleton, Ont., just north of Toronto.